For many little ones, though, the annual light show is less celebratory than terrifying. To up your chances of making it past the first boom, you'll need to plan ahead. 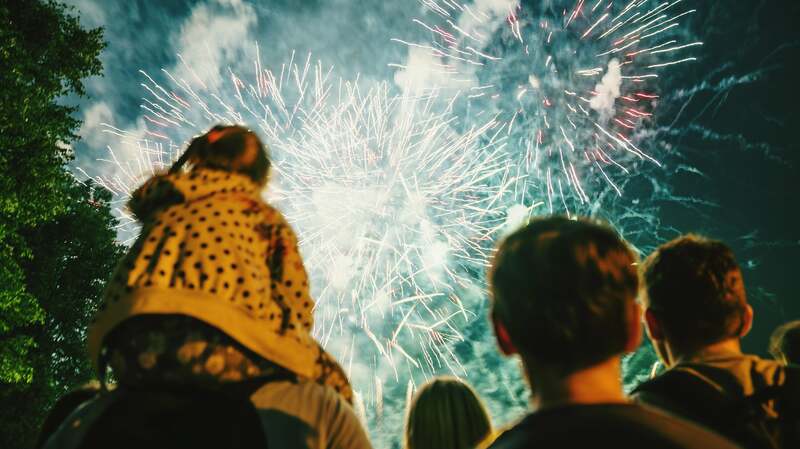 Here are some tips that can help curb your kids' potential fireworks fear. Explain where you'll be going, why you're celebrating and what you'll see when you get there. The fear of the unknown is powerful, and even the word "fireworks" can sound rather scary if you've never seen them before. Show them pictures or videos of fireworks so they can visualise the experience before the big night. Your kids will be up late, which can be dicey even without the fireworks to contend with. Bring snacks and drinks and other distractions, such as glow sticks, to pass the time while you wait for the show to start. Better yet: Bring a pair of noise-cancelling headphones along for sensitive ears. The company Snug makes a highly rated, affordable pair. Especially if it's your child's first time and you're not sure how they will react, have an escape plan in mind. Park in a spot where it will be easiest to get out quickly, and set up shop near the back of the crowd. The view might not be as stellar, but it will be worth it if a meltdown ensues. You may be able to find an open area near your home where you can actually see the fireworks display of a neighbouring town. Fireworks can seem less scary when they're farther away and not quite so loud. This isn't a fear you have to conquer this year. A year can make a big difference in what children are able to tolerate or ready to enjoy. If you have to throw in the towel - or skip it altogether - remind yourself that there's always next year. Some kids with some special considerations may not be able to go to firework displays, I do get that. Fireworks can scare kids who have extreme conditions in some cases, such as kids on the spectrum (it's a wide spectrum so I can't be too specific). But this article's a bit... cotton-woolled. If you're a parent, just take your kids. Show them the fireworks, don't overthink it. Just enjoy it. Not everything needs to be overplanned, overprepared, overdone. We don't need this kind of pre-thought into every activity. I'm sorry, but this articles *really* one of those 'cottonwool wrapped world' articles. Having a look at the author's other articles. They are all like this.